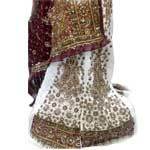 Roshan Enterprises has made dominance for itself in the Fashion industry in a period of 36 years. 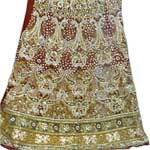 Therefore, today the company is counted amidst the leading Embroidered Lehenga Choli Suppliers and Manufacturers from India. 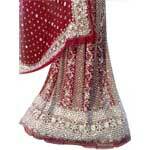 Let the treasured occasions radiate with the unsurpassed beauty of the Embroidered Lehenga Choli made available by us. 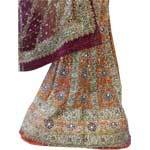 Designer Embroidered Lehenga Choli, provided by us, is available in a variety of mesmerizing colors and designs. Our Heavy Embroidered Lehenga Choli adds magic to the special moments of the life with its unrivaled designs and patterns. 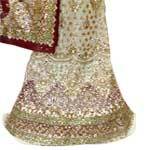 Adorned with fine embroidery, our Heavy Embroidered Lehenga Choli is ideal to lend a scintillating beauty to the wearer. 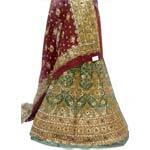 We are well reckoned as one of the supreme Heavy Embroidered Lehenga Choli Manufacturers and suppliers based in India. The Designer Lehenga Choli is available with us in myriad colors, designs, sizes, and patterns to meet the special demands of the customers.